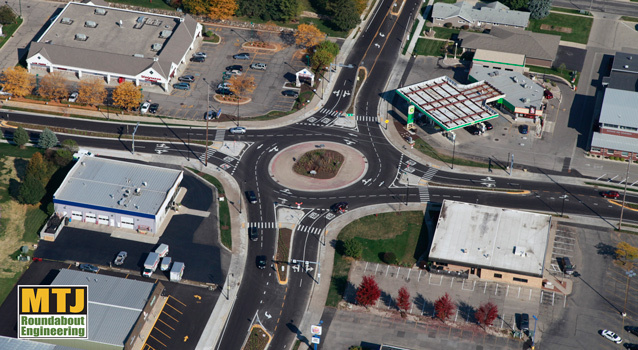 MTJ Roundabout Engineering’s Mark Johnson provided capacity analysis, final horizontal design and public outreach support for this complex, constrained intersection in Waunakee , WI. The Village of Waunakee and WIDOT were seeking a solution to reduce congestion and improve safety and traffic flow. 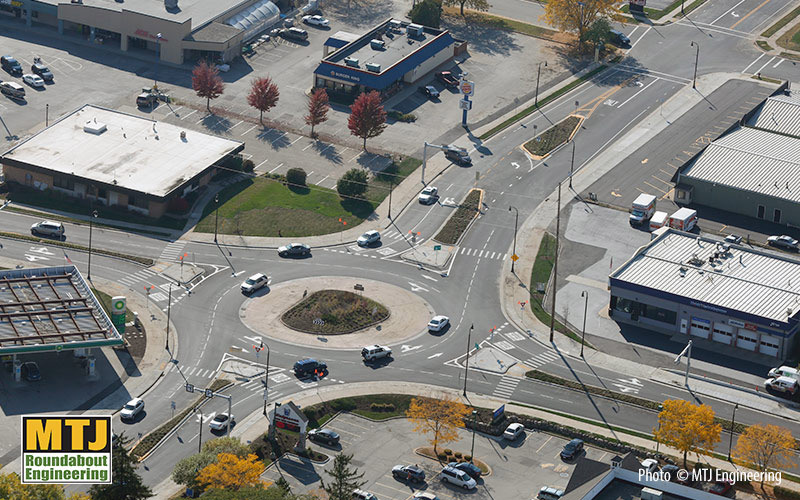 A feasibility study showed a flared entry roundabout would increase traffic flow efficiency, and improve safety for all modes. MTJ played an integral part in the successful public outreach effort by WIDOT and the Village of Waunakee. Through illustrative visualization, MTJ was able to provide an easily understood graphical representation of the impact of the new roundabout.